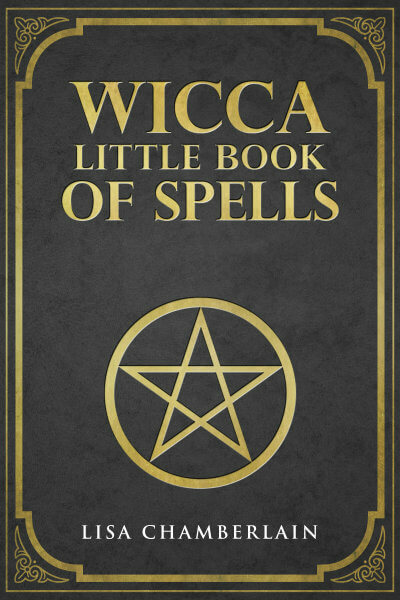 Wicca is often thought of as a loosely structured, or even completely unstructured spiritual tradition, and for many people who were raised in more formal organized religions, this is definitely part of the draw. Nonetheless, there is a core feature of Wicca that serves to bring people together around a collective focus: Wiccan rituals. Whether the occasion is a Sabbat, an Esbat, or a milestone such as a handfasting (wedding), an initiation, or an end-of-life ceremony, covens and circle members will gather to worship together, honor the Goddess and God, and celebrate the wonders to be found in the ongoing cycles of life. While most Wiccan rituals are held in private, some covens will occasionally hold theirs in public, so that all who wish to observe can come and learn more about the Craft. Many Wiccan circles do the same, and may even invite the public to participate. Of course, solo rituals are no less significant, and solitary Wiccans know that as they worship at each point along the Wheel of the Year, they are adding their personal light and power to the collective magical energy on these special occasions. Beautiful, mysterious, elegant, and comforting, Wiccan rituals can take many different forms, with no two events being exactly alike. Some may be highly structured and elaborate. This is often the case with coven rituals, though since most covens keep the details of their rituals secret, known only to initiated members, it’s difficult to describe them with much accuracy. Other rituals, particularly those practiced by solitary and eclectic Wiccans, may be fairly simple by comparison, and may even be made up on the spot. The content of any given Wiccan ritual will depend on the occasion. For example, Esbats, or Full Moon celebrations, are focused solely on the Goddess, while Sabbats honor the co-creative relationship between the Goddess and the God. Despite all the possible variations, however, there are a few basic elements that tend to be included in what we might call a “typical” ritual. First, there is a purification, both of the celebrant(s) and the place where the ritual is held. This can happen in the form of a ritual bath, and/or a smudging ceremony to remove any unwanted energies from the ritual space, whether it’s an outdoor area or inside the home. Smudging involves the burning of sacred herbs, such as sage, rosemary, and/or lavender. Setting up the altar comes next. Some Wiccans are able to keep an altar permanently set up in their homes, but even in this case, it will likely be decorated differently depending on the occasion, such as bringing in fall foliage for Mabon (the Autumn Equinox) or Samhain (also known as Halloween.) The altar is arranged with the various Wiccan tools, symbols, and offerings, laid out according to any one of a number of traditions. Next comes the casting of the circle, an act that creates a boundary between the sacred space and the ordinary, mundane world. The altar is typically at the center of the circle, with plenty of room for all involved to work freely within the circle, with no accidental stepping outside of the energetic boundary. The circle may be marked with sea salt, a long cord, several stones, herbs, or candles. There are many methods for circle-casting, which you can read more about here. Once the circle is cast, the invocations begin. The order here can vary, but typically the God and Goddess are invited to join the ritual, and then the four Elements—Earth, Air, Fire, and Water—are invoked, as these are the raw materials that make up all of existence. (In many traditions, a fifth Element—Akasha, or Spirit—is also called in.) In other traditions, this step is known as Calling the Quarters, and the four directions (North, East, South, and West) are addressed, either instead of or in addition to the Elements. After the intent is stated, the main body of the ritual may consist of various activities. The focal point may be the performance of a ritual drama—such as reenacting scenes from ancient myths or poems—or other liturgical material, depending on the tradition of Wicca the group is following. Solitary Wiccans might also read from ancient mystical texts, or compose their own poetry for the occasion. Chanting, singing, dancing and/or other ritual gestures may be part of the proceedings, as might simply reflecting informally on the blessings of the season. Prayers might be offered, whether they are personal or on the behalf of others. In fact, it’s common in some traditions to use ritual space to intend for the benefit of an entire community, or even all of humanity. In many traditions, a ceremony known as “cakes and ale” (or “cakes and wine”) is an important part of Wiccan rituals. Food and drink are offered and symbolically shared with the God and Goddess, typically at the end of the body of the ritual (although some traditions begin with it). This ceremony connects the spiritual plane with the Earth plane, and helps to ground and center the participants before closing the ritual proceedings. When it’s time to end the ritual, the Elements and the Goddess and God are formally thanked and released, and the circle is closed. Again, this is just a basic template that a Wiccan ritual would typically follow. If you join an established coven or circle, the group will most likely have its own version of what’s been described above, with many possible variations. 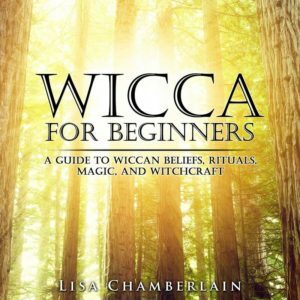 If you’re a solitary practitioner, you can research a specific tradition to follow, or you can create your own unique Wiccan rituals. As long as your intention is sincere and you are focused on your actions, there’s really no way to get it “wrong”! If you want to learn more about Wiccan Magic, check out Lisa's dedicated magical guides.